Three members of the German infantry dressed for the trenches. They wear waterproof overtrousers and carry extra ammunition in cotton bandoliers. 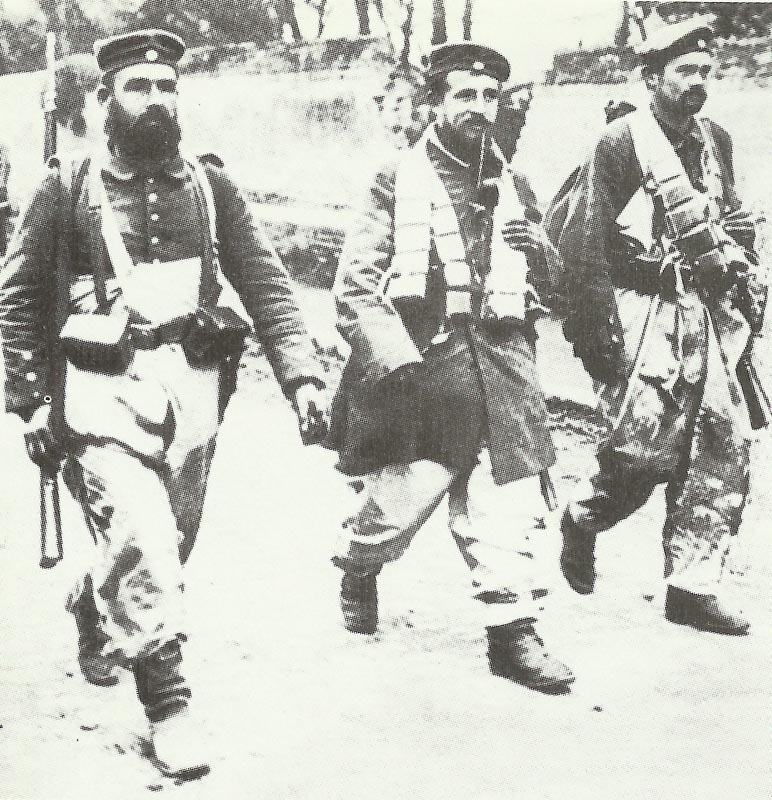 Aisne: German reinforce­ments counter-attack north of Soissons; river bursts its banks carrying away French-held bridges. Champagne: Heavy fighting round Beausejour Farm. South Africa: Last Transvaal rebels’ capture announced. Mediterranean: Admiral Carden assesses step-by-step naval attack on Dardanelles as practicable. Austria: Count Tisza refuses German Ambassador’s request to buy off Italy with territory, proposes Foreign Minister Berchtold’s dismissal to Emperor. Britain: Government loans Rumania £5 million. Grey offers Venizelos Asia Minor territory for aiding Serbia but Greece declines, repeated again on January 23 but refused again on January 29.